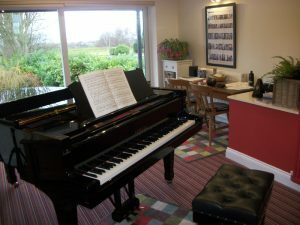 I offer private tuition in piano, violin and music theory and am also available as an accompanist, freelance arranger and studio producer. I have a wide range of musical experience, and although my youthful training was primarily a classical one I am comfortable working with all styles of music. 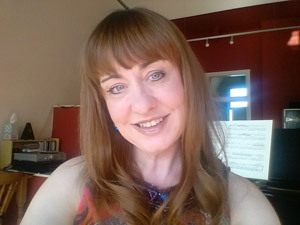 Following a childhood passion for music in which I studied the piano and violin, I read music at Manchester University gaining a Bachelor of Music degree with Honours specialising in Piano Performance. Since graduating in 1991 I have operated a busy and successful private teaching practice. Over the years hundreds of my students have achieved success in examinations and several have gone on to careers in music themselves. I teach from a fully equipped studio with a Yamaha S Series grand piano. I enjoy helping clients to gain maximum enjoyment from developing their musical skills, no matter what their age or prior experience. If desired, I prepare students for ABRSM examinations, school music scholarships, university and conservatoire entry. Recent students have been successful in gaining offers to study in UK conservatoires (including the RNCM) and universities (including Oxbridge). No matter what your goals are, big or small, I will do my best to work with you to achieve them – whether you want to pass exams, work towards playing in concerts or even just for your own personal enjoyment. Please view my “contact” page for more details. 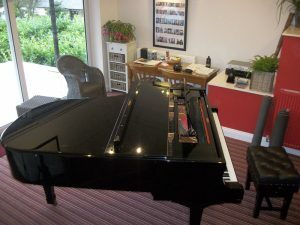 A 6′ 3″ hand made S Series Yamaha Grand Piano. Numerous teaching resources, including a huge stave white board and access to a substantial music library (including Grove) and the internet. Inspirational acoustics, designed especially for music making. Peaceful view with roof garden. Comfortable waiting room for parents with complementary Tassimo coffee, magazines and newspapers, plug in for laptops and devices with free WIFI, and luxury toilet facilities. 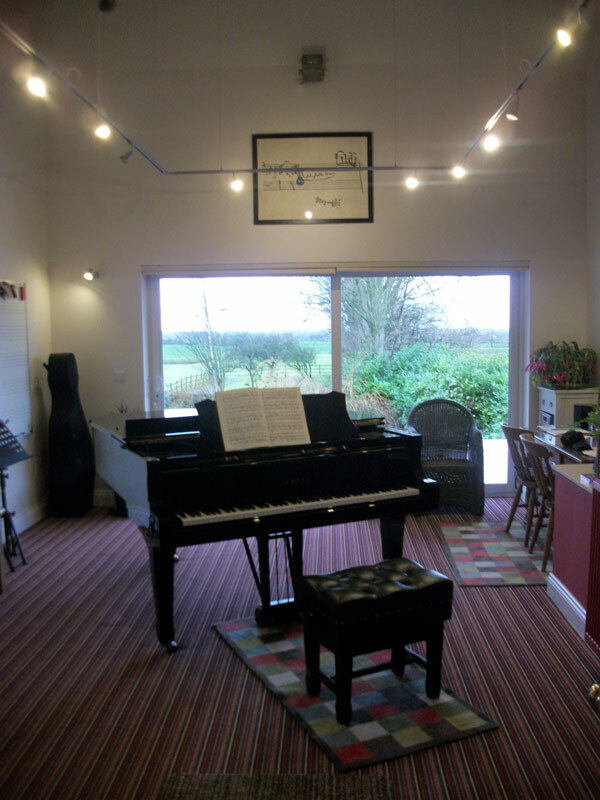 The studio is a new – build first floor attachment to a characterful Victorian house which is just a few minutes’ drive from Preston, Garstang, Fulwood, Longridge and surrounding areas, and close to Junction 32 of the M6 – my location is on Garstang Road, Barton, Preston, Lancashire, PR3 5AA. Please feel free to contact me to discuss your requirements- I would love to hear from you!